It was about a month ago when I was touring with Tim Holehouse around England. One morning, after already having spent several days in one of the rooms of his lady’s house in London I realized I was basically surrounded by stock of Tim’s Dislocation Deity Records and said to myself why don’t I just pick something and listen. And I grabbed something beautiful, freshly released and printed in only 300 hand numbered and silk screen printed copies called Angels Guide the Way to our Harbor. A collaboration record between Tim Holehouse’s guitar (and sometimes vocal) based drone project TCH & Ashtoreth – Peter Verwimp, based in Antwerp, Belgium. Also co-released by Peter’s own Deer Trail Records. This album can be really reviewed and described only with one word – beautiful. The opener is the self-titled piece which is a collab between the two projects and it’s massive, diverse and drifting in a hypnotizing pace. You often find yourself lost somewhere between the repetitive Earth-esque riffs that kick the track off or the acoustic build ups and tremolos and if not there, then between Tim & Peter’s abrasive vocal timbres. They lead you out of track sounding deceivingly calming but actually drag you down into the bottomless sea depths depicted by Janus P. Lemaire in the album artwork. On Side B you find two pieces by each project. For me there was a way too huge difference between them and the first piece. After being exposed to the monolithic combination of both artists I couldn’t escape the feeling I was missing something. That’s why now I prefer listening to Side B first. 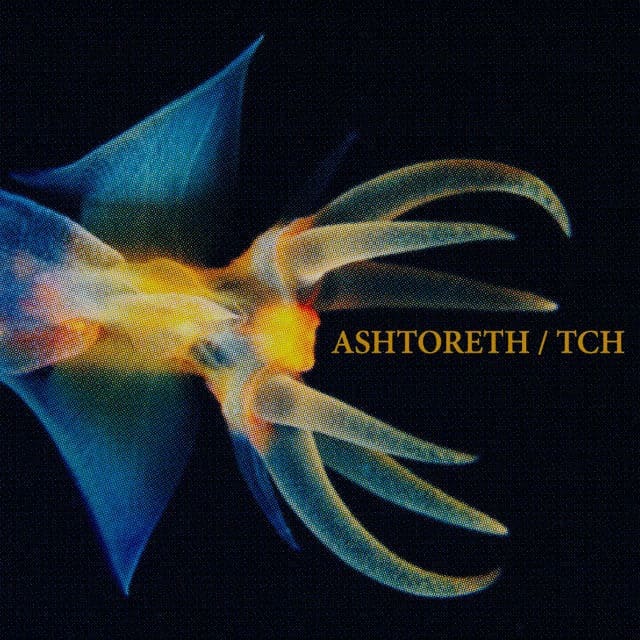 That way the beautiful acoustic magic soaked in TCH’s Ascension and the worried sonic hide and seek that Ashtoreth’s strings are playing in Sacred can fully shine. It’s disturbing how well those two musicians’ approaches to music are fitting to each other. I highly anticipate the sequel to this record and you… you should be already playing and purchasing that.